Join us for top-flight learning & a lasting experience! Try adding one of our full-day Pro Workshops happening on May 20th. These deep dives into results-driven marketing topics will be highly interactive and game-changing. 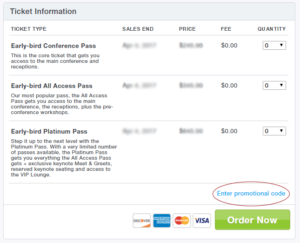 Included for Platinum Pass holders; all other passes can add-on for $200. Access to all sessions with the exception of the AM Workshops. Hear titans of the digital marketing space on topics ranging from inspirational to actionable. Interact and learn from companies offering the latest marketing solutions. Make new connections and share ideas with colleagues over drinks receptions on both days. View non-audio SlideShare presentations post-event. (Note: Subject to speaker approval). Separate, 4-hour deep dives on the latest tactics in Content Marketing, SEO/Search and Email Marketing. Day 1 lunch included as part of the AM Workshops. Enhanced post-event access to presentations from the event, with slides synced up to speaker audio. (Note: Subject to speaker approval). 12 month access to hundreds of presentations from over 20 Digital Summit events, Quick Tip Videos, Invite-only Webinars and more. Open bar, snacks and a great place to network with other VIPs or to find a quiet spot to work. Beat the crowd and secure the best seats in the house. Take home some finishing touches with bonus branded DS gadgets and gear. Main Conference Access to all sessions with the exception of the precon workshops. Keynotes Hear titans of the digital marketing space on topics ranging from inspirational to actionable. Exhibitor Showcase Interact and learn from companies offering the latest marketing solutions. Networking Receptions Make new connections and share ideas with colleagues over drinks receptions on both days. Access to Presentation Decks* View non-audio SlideShare presentations post-event. (Note: Subject to speaker approval). Pre-Conference Workshops Separate, 4-hour deep dives on the latest tactics in Content Marketing, SEO/Search and Email Marketing. Day 1 Pre-Conference Lunch Day 1 lunch included as part of the Pre-Conference workshop. OnDemand: Slidecasts w/ audio* Enhanced post-event access to presentations from the event, with slides synced up to speaker audio. (Note: Subject to speaker approval). OnDemand: Bonus content** 12 month access to dozens of presentations from 14 other Digital Summits, Quick Tip Videos, Invite only Webinars and more. VIP Lounge Access Open bar, snacks, chair massage... a great place to network with other VIPs or to find a quiet spot to work. Express Check In & Concierge Hassle-free, quick check in with the ability to check luggage. Reserved Keynote Seating Beat the crowd and secure the best seats in the house. Exclusive Backstage Keynote Meetup Rub shoulders with industry giants in an exclusive and intimate setting. Platinum Swag Bag Take home some finishing touches with bonus branded DS gadgets and gear. **Get access to hours of bonus digital marketing sessions from other Digital Summit events and invites to free educational webinars! 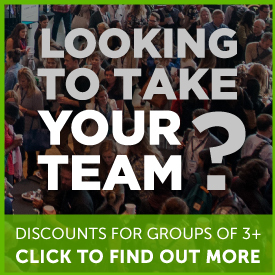 Looking to take your team? Have a group of 3 or more you want to bring? We can help! Just contact us about our group packages. How can I register by check? Please also include how/to whom the invoice should be made. You will receive an invoice via email with payment instructions and your attendees will be registered in our system. Due to facility capacity, space is limited and early registration is encouraged. Cancellations received before April 19, 2019, are refundable less a $35 pass along charge back fee. Cancellations received after April 19, 2019 are non-refundable. No-shows will be charged full conference fees. However, all registrations are transferable to other registrants. Just email us ahead of time when possible so that a badge may be waiting for the new registrant. We do our best to offer a great value year after year to all attendees but due to the unpredictability of live events, we are not able to offer any refunds or partial credits post event – as a result of speaker cancellations, weather challenges or other issues outside of TechMedia’s control.